Why do I have to enter my Crecit Card info every time I place an order? Schaefer Shelving does not store any credit card information from its customers. When you order online, the information is encripted and securely transmitted to the payment processor. While we understand this may be a small inconvenience when ordering frequently from our website, we believe the that the level of security provided clearly compensate this small inconvenience. Schaefer Shelving does not store any credit card information from its customers, so it could not get more secured than that. Why do I have to pay Sales Taxes? This is a frequent misunderstanding. Sales Taxes should be paid on all taxable purchases, both online and offline. However, most states only require to companies with a nexus (physical presence) in the state to collect and report Sales Taxes on behalf of its customers. If a comapny does not charge you Sales Taxes with your order, it does not mean you do not have to pay them, but instead that you should report them directly to your state with your Tax fillings. SSI Schaefer is a national company, and therefore has nexus established in most states. We are working to provide this option during the checkout process, so customer can upload the Tax Exempt Certificate online. In the meantime, please contact one of our customer Service Representatives for assistance. What other methods of payment do you accept? At this moment, Credit Cards is the only method of payment accepted online. We do not accept COD. Large companies and corporations can open an account. Credit refernces will be required and verified, and in most cases, advance payment will be required with the first order. Please contact one of our Customer Service Representatives to discuss additional forms of payment. Schaefer Shelving is proud to provide real-time accurate freight rates to its customers. Our website is integrated with a major carrier who, based on the products in your shopping cart, their sizes, weights and shipping locations, will provide the most competitive rate to transport your order. Why is my shipping rate to high? 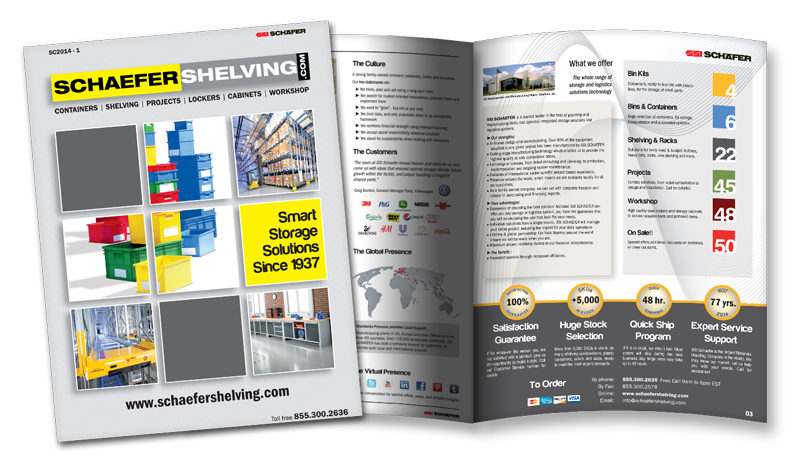 Schaefer Shelving has worked very hard with one of the major freight companies in the US to provide the most competitive rates to its customers. The shipping cost we obtain from our carrier is passed to our customers as is, with no markups or handling fees of any kind. Shipping rates are calculated based on the products in your shopping cart, their sizes, weights and shipping locations, and final destination. Most of our products are heavy and bulkly, and therefore take a signifcant amount of space on the truck. If you are ordering different products from different suppliers, so multiple shipments, shipping charges can increase substantially. If you are placing a very large order on our site, then you may qualified for discounted truck load rates. Please contact with one of our Customer Service representatives to obtain a truck load rate. Can I use my own carrier to ship the order? We are working hard to have that feature available very soon during the checkout process. In the meantime, if you want to use your own carrier, please contact one of our Customer Service Representatives to complete your order. Do I need special services? If you your company has a warehouse with a loading dock, you do not need any special services. If you are a home business, select residential delivery and inside delivery (freight companies charge an extra when they have to move out of their standard delivery routes). If you are a small business (i.e. Law Office) and do not have a loading dock, select Liftgate Service and inside delivery (most trucks do not have a platform on the back, so freight companies charge an extra to provide this service). Please remember that inside delivery means inside the front door of your business. Driver will not go up stairs or elevators. Do I need to inspect the order upon receiving? It is absolutely critical that you do so. To understand how the protocol works, when the trucking company picks the products in the warehouse, they accept liability for damages during transportation. But when you receive the goods and you sign a clause on their paperwork to confirm that all products have been received and in proper condition, you waive that liability from the trucking company that now is passed into you. Therefore, any visible damages must be noted in the paperwork of the trucking company at the time of delivery. For concealed (non-visible) damages, trucking companies grant a 48hour period to file. 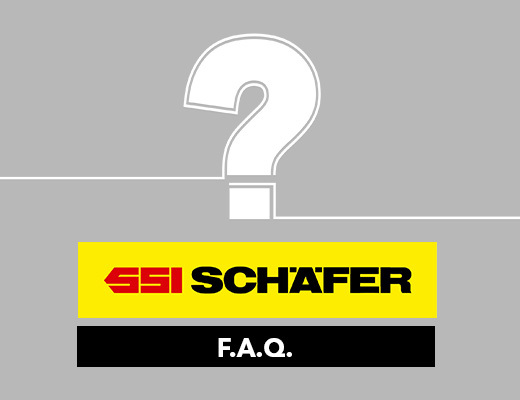 Please look at Schaefer Terms & Conditions for full explanation of our shipping terms. My order is damaged. I am missing some products. What should I do? If you order is damaged or missing products, and it was noted on the carrier bill of lading, please contact a Customer Service Representative. We will take care of the claim for you, find the missing items and ship the replacements at no cost for you. If you order is damaged or missing products, but it was not noted on the carrier bill of lading, please contact a Customer Service Representative within the first 24 business hours. We will file a claim and try to find the missing products. However, this is not guarantee that replacements will be sent out at no cost. What documents should I received with my order? With every order you should receive a Packing Slip with detailed information of the products and items included on that shipment. If the packing slip is missing upon delivery, please note that on the delivery receipt. You may also receive assembly instructions, but only when applicable. That depends on the items you order, where are they shipping from, and your destination. As an average, most of our customers see their orders delivered within 3 business days from the time the order is shipped out. We try to minimize the number of shipments required for maximum savings and convenience. Obviously, products shipping from different locations will ship independently. With the first shipment, we will let you know if it is complete, or how many additional shipments you should expect. What if one item is on back order? If one item becomes unavailable after you ordered it, we will contact you right away to discuss the options with you. We may offer an alternate size or color, ship the rest of the order, or hold it for you untilt the item is bak in stock. How can I obtain specific product information? On each product page there is a tab called product specifications with all the documentation available related to that specific product, like product guides, technical specifications, load or size charts. If you still do not fine the answer that you are looking for, please contact one of our Customer Service Representatives. We will be happy to find the right answer for you. I do not understand the assembly instructions. Can you provide further assistance? If you have trouble putting together any of our systems, please contact us. We will be happy to guide you and send you specific instructions for a step that may be specially difficult. While we do not provide assembly services, we may be able to point you to a local company that could help you with the process. The services needed and the cost should be arranged directly with the assembly company. These companies are not affiliates or subsidiaries of Schaefer Systems, so we decline any responsibility for improper installation of our products. I have a large project in mind, but it is hard to come up with the optimal solution for my needs. Think no further. Please contact to discuss your needs. We will be happy to assist you with product selection. If your project requires an on-site visit, we will be happy to provide one at no charge. One of our Sales representative will visit you and design with you the most cost-effective solution. You have 30 days after the order has been delivered to return it if for no reason you are not completely satisfied with it. Please contact a Customer Service representative to obtain a Return Authorization. Basically, products have to be in good condition and not used. For complete details on our return policy, please click here. What are the Terms and Conditions to order on your site? For complete and detialed Terms & Conditions, please click here. Your email address and phone number, which are usually the highest concern for personal information, are never shared, sold, exchaned or shared with any third party company. My product is still under warranty. How do I submit a claim? We stand behind the quality of the products we sell. That is why we offer extended warranty on most of our products. If you find a defective item, please contact one of Customer Service Representatives for assistance. Why do I need to open an account to buy? Opening an account provides a personal buying experience, and access to more detailed information, like real-time tracking for your order, shipping communications, order history and more. How can I decide what communications I want to receive? Simple go to Manage your Marketing Preferences and decide the amount of mailing or emails you want to receive. Please remember you can change your preferences at any time here. What is the difference between Request Printed Catalog option and Catalog Subscribe/Unsubscribe? If you request a catalog, it will be a one time issue only. If you subscribe to our mailing list, you will receive one every time a new issue is printed. What is the New Catalog Alert subscription? Schaefer Shelving works hard to minimize the amount of unwanted mail. If you subscribe to this service, when a new catalog is printed, we will send you an email communication. Within the email, you could request the printed version is you have a specific needs for our products. if you do not, you simply disregard the message. Is my shopping cart deleted if I leave the site? If you are a registered user, items will remain in your shopping cart until you buy them or delete them. If you are not registered, items will remain on the cart as long as you do not delete the cookies fromm your computer or you user the same browser to acces the site again. I have placed an order, what happens now? You should receive an email confirmation with the details of your order. Please review it and notify any changes before the order ships. As soon as your order ships, we will send you an email with tracking information. Upon receival of the order, inspect the goods to confirm everything is correct. I placed an order and have realised that I order wrong items. What sould I do? If you want to make changes to your order, please contact one of our Customer Service Representatives as soon as possible. If the order has not shipped yet, we can make the necessary changes. If the order has shipped, Customer Service will work to find the best solution to return the wrong parts and ship out the correct ones. I have placed an order but have changed my mind. What do I need to do? Written notification is needed to process a cancellation. If for any reason you want to cancell you order, please contact one of our Customer Service Representatives as soon as possible. If the order has not shipped yet, it can be cancelled right away. If the order has shipped, Customer Service will work to find the best solution to stop the freight and ship it back. Cancellation fees may apply. I need to check on an old order I placed a while ago. Can you provide that information? Your can consult all your previous orders by simply logging into your account. What happens with my information if I close the account? If you permanently close your account, all your personal information will be deleted, except the one we are required to maintain for a period of time by law, like purchase orders. How long has been Schaefer in business? 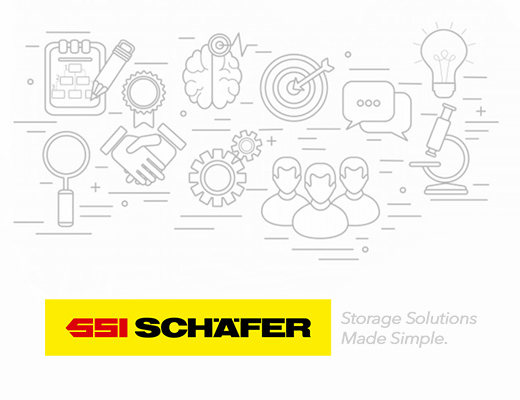 SSI Schaefer has been in the Material Handling Industry for over 75 years. Our headquearters and main manufacturing plants are located in Charlotte, NC. We also have a sales office in Lexington, KY and another manufacturing plant in Lodi, CA. Customer Service Representatives are available Monday through Friday, 9am to 6pm EST. For contacts after business hours, you can send us an e-mail, a message through the live chat, or post your question on Facebook or Twitter. Are there any employment opportunities available at Schaefer Shelving? For employment opportunities within the entire schaefer group, please click here.